Some web services don’t include an authentication feature such as a form or SSO. When these web applications are accessible from the Internet through Kemp, it’s a huge security issue. To solve that, Kemp provides ESP (Edge Security Pack). Thanks to ESP, an authentication form is presented to clients before accessing the web applications. In this topic, we’ll see how to configure ESP on a virtual service and how to allow only users that belong to an Active Directory Group. In my domain SeromIT.local, I’ve created a group called GG-RemoteAccess. It’s a usual global security group. 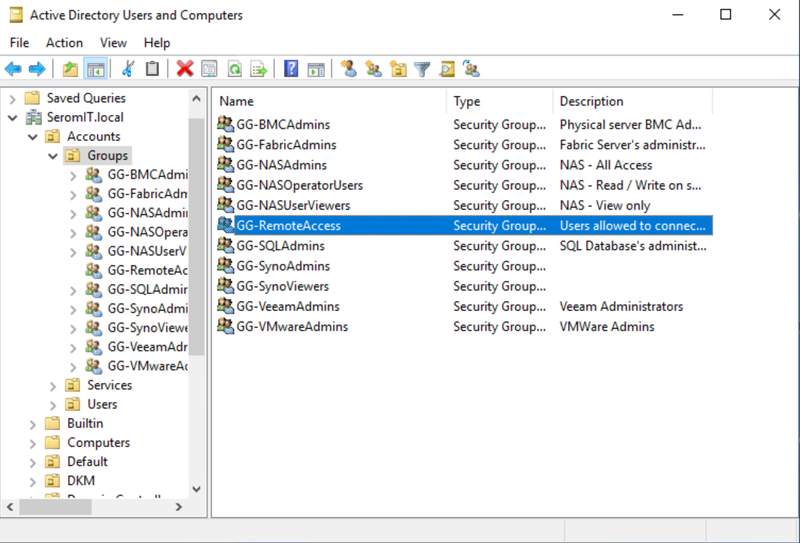 You can create a specific group for each Kemp virtual services to manage applications access from Active Directory. 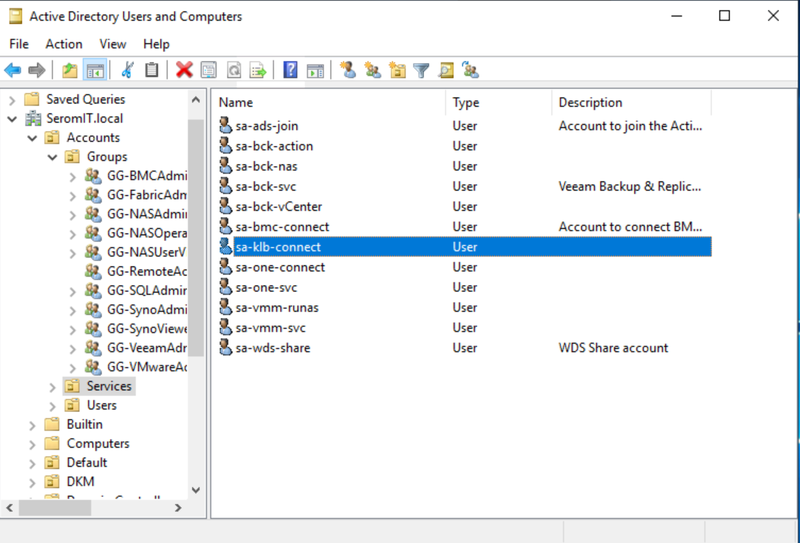 Create also a user account with classic user permissions to allow Kemp to parse the Active Directory. I called my account sa-klb-connect. 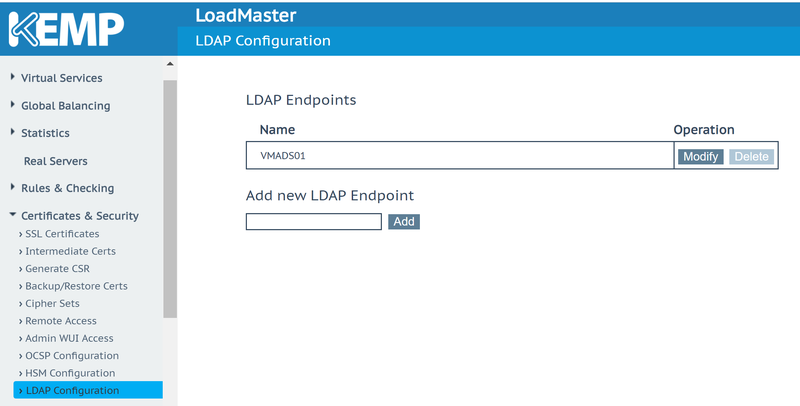 Connect to Kemp LoadMaster GUI and navigate to Certificates & Security | LDAP Configuration. 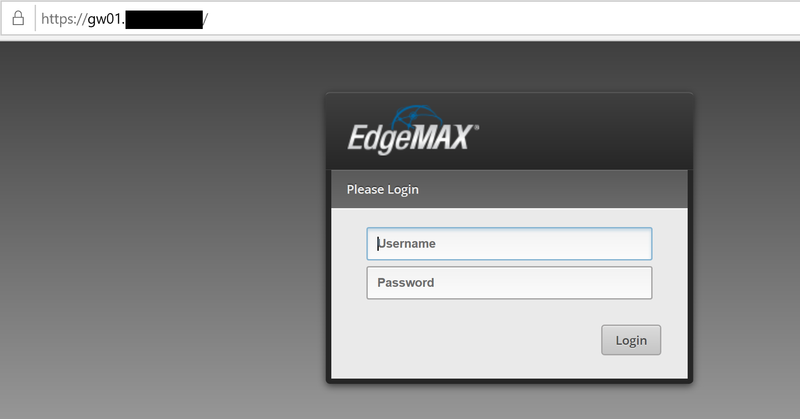 In Add new LDAP Endpoint field, provide a name and click on Add. In LDAP Server(s) field, provide Domain Controller IP addresses separated by space. If you want to connect to Active Directory through SSL, configure LDAP protocol. Then specify the AD account that you have previously connected to parse the Active Directory. In Kemp LoadMaster GUI, navigate to Virtual Services | Manage SSO. 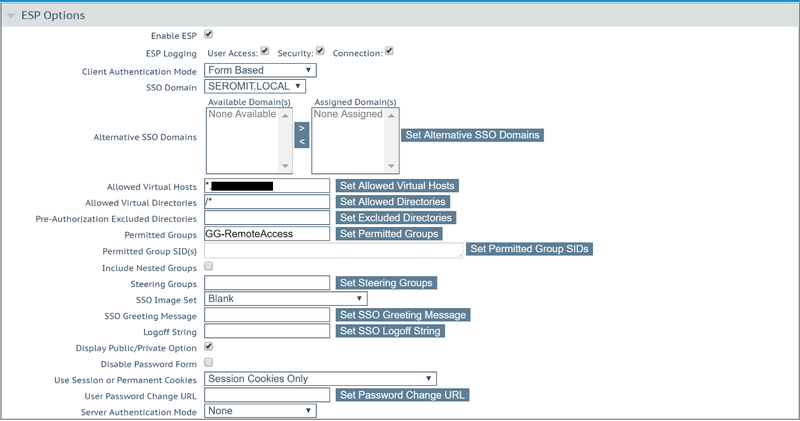 In Add new Client Side Configuration field, specify a name and click on Add. I called mine SeromIT.local. Leave other fields to default and enable Use LDAP endpoint for Healthcheck. Kemp ESP can enhance the security level of your web applications by moving the auth provider from the web app to Kemp. Instead of authenticate on your web application, Kemp ESP enables to authenticate on your load balancer before accessing to the web service.